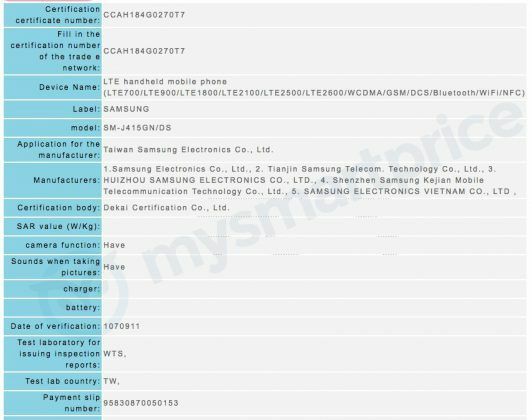 The rumored Samsung Galaxy J4 Prime and Galaxy J6 Prime have received NCC certification. Support pages for both devices have also gone live. The arrival of two new smartphones that would be the successors of Samsung’s Galaxy J4 and Galaxy J6 have been expected to arrive for some time now. Support pages for both devices recently went live in Vietnam. 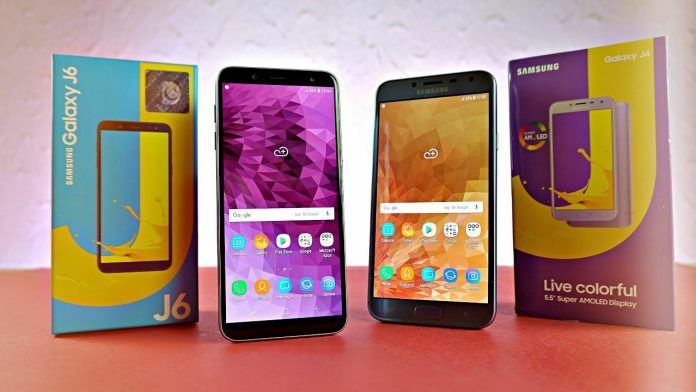 This was followed by the alleged J6 Plus receiving Wi-Fi certification immediately after its support page went live on Samsung’s Indian website. There are two new developments here. The first is that the J4 Plus has also received a new support page on Samsung’s Philippines sire. The second is that both smartphones have received NCC certification. While it isn’t certain where the devices might make their debut, it does confirm the existence of two new smartphones from Samsung and that their launch shouldn’t be too far away. 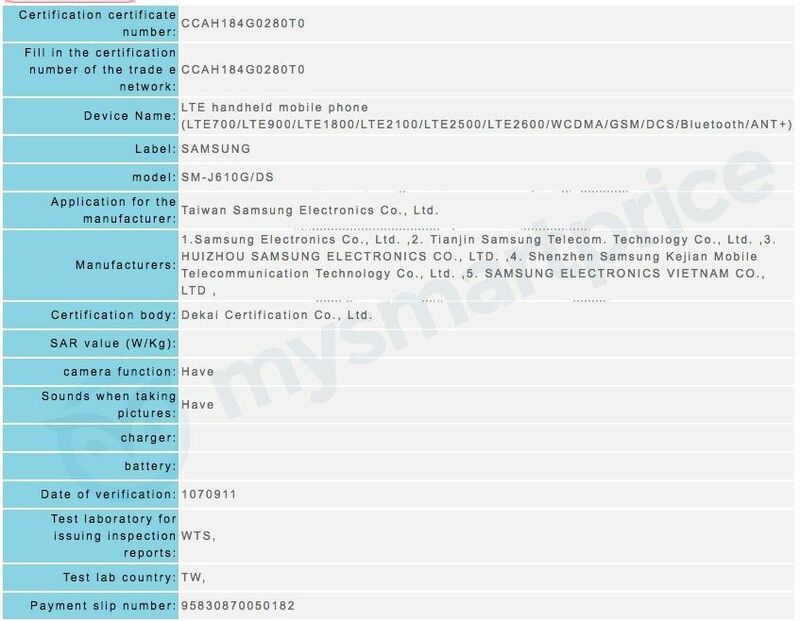 There isn’t a lot that we can confirm regarding the specifications of the alleged Galaxy J4 Plus and Galaxy J6 Plus just yet. The NCC listings also don’t reveal much apart from the fact that both phones will support 4G LTE and Bluetooth. 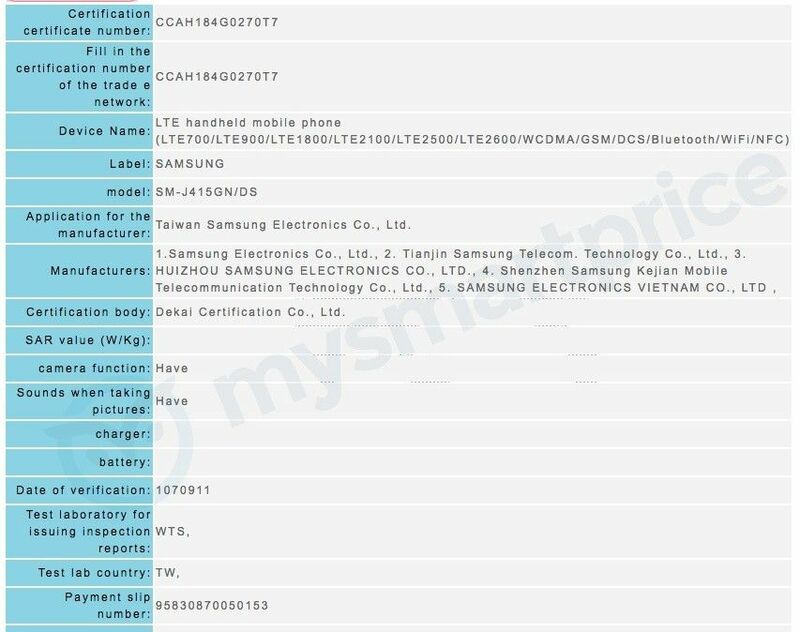 The Samsung phone with the model number SM-J610G/DS (likely to be Galaxy J6 Plus) will also offer support for ANT+; the wireless connectivity standard Samsung phones usually come with for fitness devices. On the other hand, the device with the model number SM-J415GN/DS (likely to be the Galaxy J4 Plus) is shown to support Wi-Fi and NFC. Form what we know so far, both the Galaxy J4 Plus and Galaxy J6 Plus are likely to be powered by Qualcomm Snapdragon chipsets as opposed to sporting Exynos chipsets like their non-Plus counterparts. Furthermore, both new smartphones should come with Android 8.1 Oreo running on them out-of-the-box. While nothing drastic, this should still be an upgrade compared to the existing Samsung Galaxy J4 and Galaxy J6 that come with Android 8.0 Oreo by default. While we don’t have any concrete information regarding the specs of the two upcoming Samsung phones, we do know that they should be minor upgrades over their predecessor which came out just a few months ago. 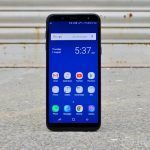 Both the Samsung Galaxy J6 and Galaxy J4 offer Super AMOLED screen with HD+ resolutions. This is likely to remain the same on the upcoming Plus models with the only major change being in the move to Snapdragon processors instead of Exynos ones. The Galaxy J4 is an entry-level handset that is priced at Rs.8,990 for its base version with 2GB of Ram and 16GB of internal storage. The upcoming Galaxy J4 Plus might get a marginal bump in its price for the same storage model, but this increase shouldn’t be more than Rs.1,000. On the other hand, the Galaxy J6 is available for Rs.12,990 for its 3GB RAM + 32GB storage base configuration. 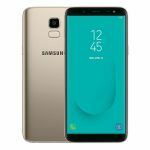 The Galaxy J6 Plus (aka Galaxy J6 Prime) should also receive a similar price bump of Rs.1,000.